When you start a business you want to attract customers. And once you’ve attracted them you’ll want to keep them. Offering a discount seems like an easy way to bring people to your brand. Give them quality at a great price and they’ll love your product or your service so much that they’ll keep coming back for more. But giving a discount doesn’t always lead to more sales. Sometimes it can have exactly the opposite effect. When supermarkets run a promotion, they expect that there will be an increase in sales followed by a slump. This makes sense: if you buy twice as much washing powder because it’s on special offer, you won’t need to buy any more for a while. But the same thing happens with services, which clearly can’t be stockpiled. Promote a time-limited special offer and you’ll see more interest from customers. But those new customers may not translate into repeat sales. Even worse, running a similar promotion later may not have a significant effect. What has happened? Part of the explanation is what psychologists call inaction inertia. This has been studied for several decades and is widely recognized as a predictable part of human behavior. In essence, inaction inertia means that if you don’t take an opportunity once, you’re likely to not take a similar opportunity in the future. As an example, let’s say you offered a flash sale: 50% off everything for one day only. Some customers will be drawn in by the offer, but others will decide that they can’t afford anything today. So the following week you announce another discount: 25% off selected items for a whole month. Even though this is a great offer, people who decided not to spend during the flash sale won’t be tempted by the longer deal. Inaction once leads to inaction later. It was originally thought that inaction inertia was due to regret. People felt bad about missing out on an amazing deal; if they took up the offer of another deal that was not quite so good, that would increase their sense of loss. Better to avoid making a purchase at all than to experience the uncomfortable feeling of regret. However further experiments suggest that inaction inertia includes an element of devaluing. If a product was previously offered at a large discount there’s a suggestion that it’s not really worth full price, so offering it at a smaller discount doesn’t look like a good deal. Devaluing also helps the customer avoid regret. Like the fox in Aesop’s fable who can’t quite reach a bunch of grapes and so announces that they are sour and he didn’t want them anyway, devaluing makes a lost opportunity seem less hurtful. The customer who would love to buy your product when it’s in a flash sale but doesn’t have the money available that day might deal with their disappointment by saying that they never really liked your company. A 2005 Dutch study found that customers who missed a promotion were more likely to switch brands. Customers who try to make themselves feel better by saying they never really liked your product will go to your competitors instead. Inaction inertia is most obvious when a discount that is objectively good is compared to an even better missed discount. Of course you can’t keep on offering bigger and bigger discounts until you’re giving things away for free. Eventually you will have customers who are disappointed that they missed out and will not be tempted by your next promotion. Even worse, customers may decide that if you offered a large discount in the past then your products are overpriced and so they switch to another company. Research suggests that if a large discount is linked to a once-only event, e.g. a travel agency offering cheap holidays to celebrate fifty years in business, then there is less inaction inertia for customers who miss out. 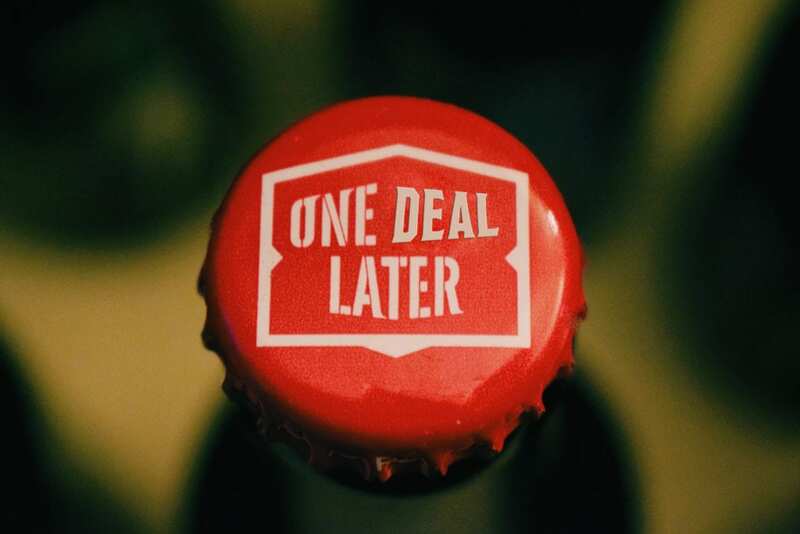 They’re likely to take up later deals— even if it’s a smaller price cut —because the second deal is seen as completely different from the first one. The same thing happens if the later deal involves completely different goods or services. So if a jeweller offers 30% off rings and then the next month gives 20% off engraving, they’ll be less likely to suffer the effects of inaction inertia. Giving a time-limited discount is a tried and tested way of getting customers to spend. You should be aware though that the time limits that drive customers to spend today rather than in the future will also mean that some people miss out. Those customers will regret their missed opportunity, and the psychology of inaction inertia means that they will be resistant to future offers or even be likely to switch brands. Making offers clearly different from one another can help to overcome this and so drive further sales. Carry on!